Lighter-toned bedrock that surrounds cracks and fissures in the surface suggests the red planet had liquid longer much longer than previously thought - because it left behind halo-like rings of silica. The new finding is reported in a paper published today in Geophysical Research Letters, a journal of the American Geophysical Union. Jens Frydenvang, a scientist at Los Alamos National Laboratory and the University of Copenhagen and lead author of the paper, said: "The concentration of silica is very high at the centrelines of these halos. "What we're seeing is that silica appears to have migrated between very old sedimentary bedrock and into younger overlying rocks. 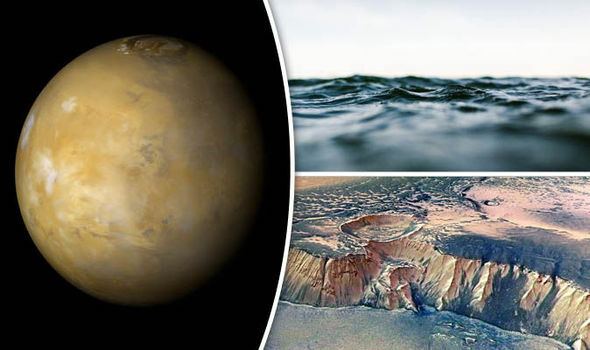 "The goal of NASA's Curiosity rover mission has been to find out if Mars was ever habitable, and it has been very successful in showing that Gale crater once held a lake with water that we would even have been able to drink, but we still don't know how long this habitable environment endured. "What this finding tells us is that, even when the lake eventually evaporated, substantial amounts of groundwater were present for much longer than we previously thought. "Thus, further expanding the window for when life might have existed on Mars." They are not clear however whether this groundwater could have sustained life. The halos were analysed by the rover's science payload, including the laser-shooting Chemistry and Camera (ChemCam) instrument, developed at Los Alamos National Laboratory in conjunction with the French space agency. 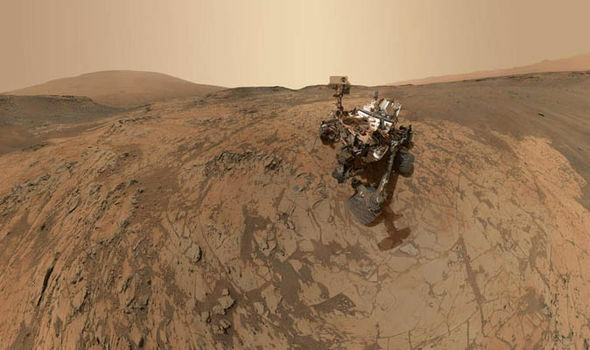 Curiosity has travelled more than 16 km over 1,700 sols, martian days and has gone from the bottom of the Gale crater part way up Mount Sharp, in its centre. Scientists are using all the data collected by ChemCam to put together a more complete picture of the geological history of Mars. The elevated silica in halos was found over approximately 20 to 30 metres in elevation near a rock-layer of ancient lake sediments that had a high silica content. Dr Frydenvang added: "This tells us that the silica found in halos in younger rocks close by was likely remobilised from the old sedimentary rocks by water flowing through the fractures." Specifically, some of the rocks containing the halos were deposited by wind, likely as dunes. Such dunes would only exist after the lake had dried up. The presence of halos in rocks formed long after the lake dried out indicates that groundwater was still flowing within the rocks more recently than previously thought.